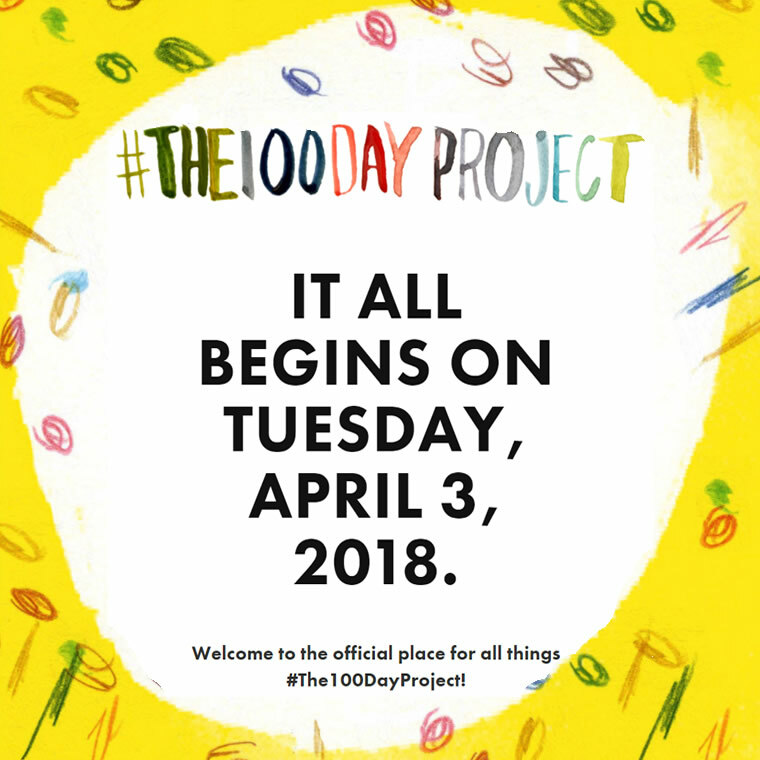 The 100 Day Project is a free, global art project. This year, it starts at the 3rd of April. The challenge is simple and difficult: to participate, you choose an action you’ll do for 100 days, and then keep going. 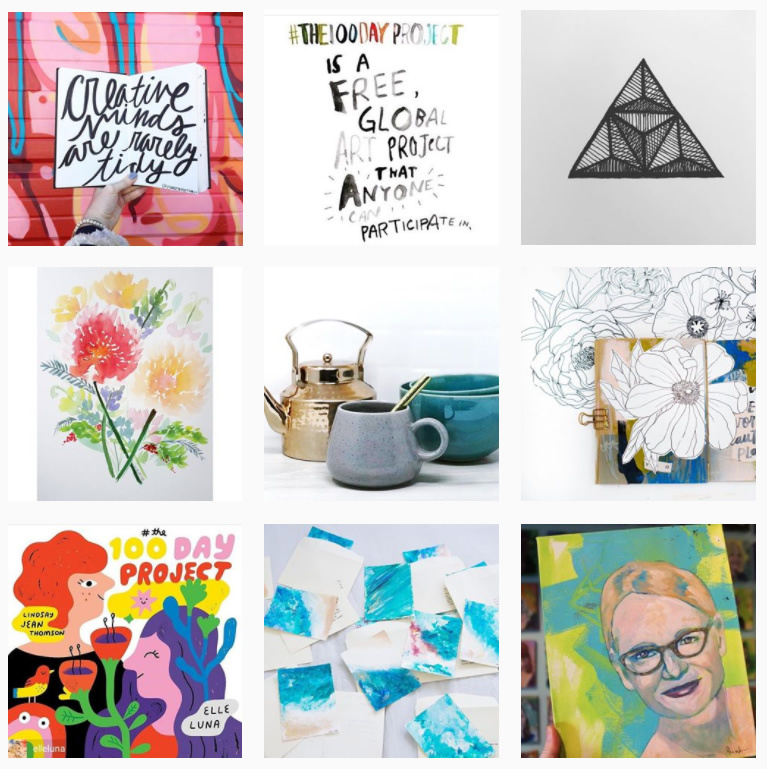 And as shared creativity is both for fun, more inspiration and more of a challenge, you share your piece daily on instagram with the hashtag #the100dayproject. I am excited about this project! Last year, I joined it with 100 Days of Mandalas, and the daily practice and the shared inspiration made a difference that I didn’t expect. Of course, the first challenge is to find a project. The daily book sketches, they were one idea for it, and I really like them. but I think, I will not keep doing them for 100 days – but instead, keep doing them in a more open rhythm, some booksketches each week. It’s a nice way to revisit books, and I find myself opening books that I have since years, but haven’t picked up since first reading them, or never really opened them at all. 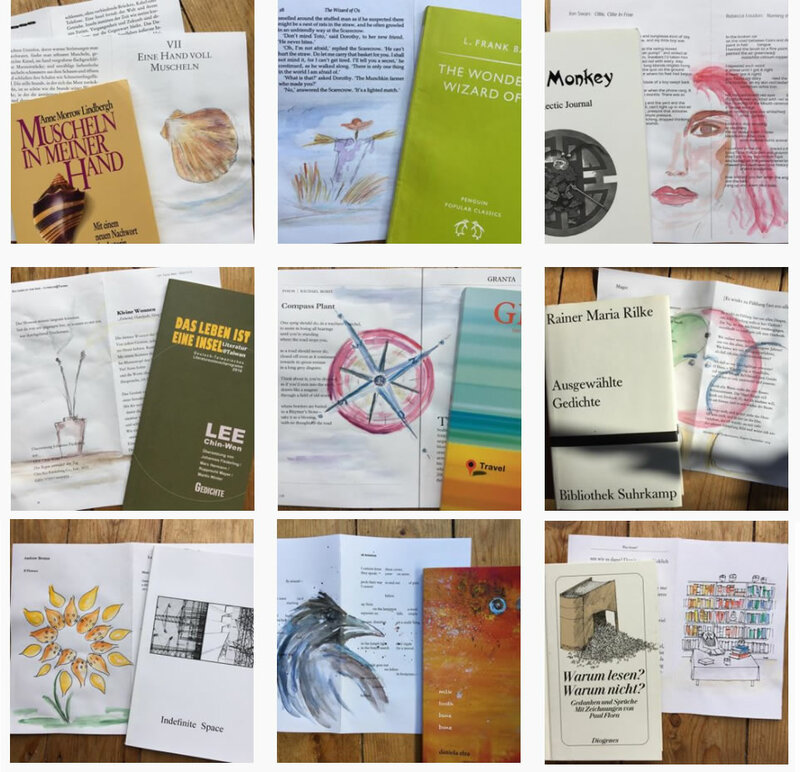 The booksketches, for me they turned into a beautiful combination of following the advice of our teacher at the art academy, to keep practicing with daily sketches – and of reading and revisiting books. One of my ideas for the 100 day project was to revisit some of my writing, and create illustrations and combinations of photos and texts, and built an archive parallel. But from timing, the twist is that art academy is starting almost at the same time like the 100 days, and the photo course and painting course will continue there. Plus, there is a new work project. So it’s already a busy time when it comes to project. I still pondered on a good theme earlier this week, while sorting through folders and pages of sketches and copies and material I collected for a collage project. And then the idea surfaced, and it all fell into place: I will create an art postcard each day. And will send it to friends, to family… just for the joy of creating and sharing. Choose an action: You’ll do this action every day for 100 days, posting each instance of 100 on your Instagram account. Start April 3rd: Create and post every day until July 11th. It’s okay if you miss a day! Keep going. Reading this after April 3rd? 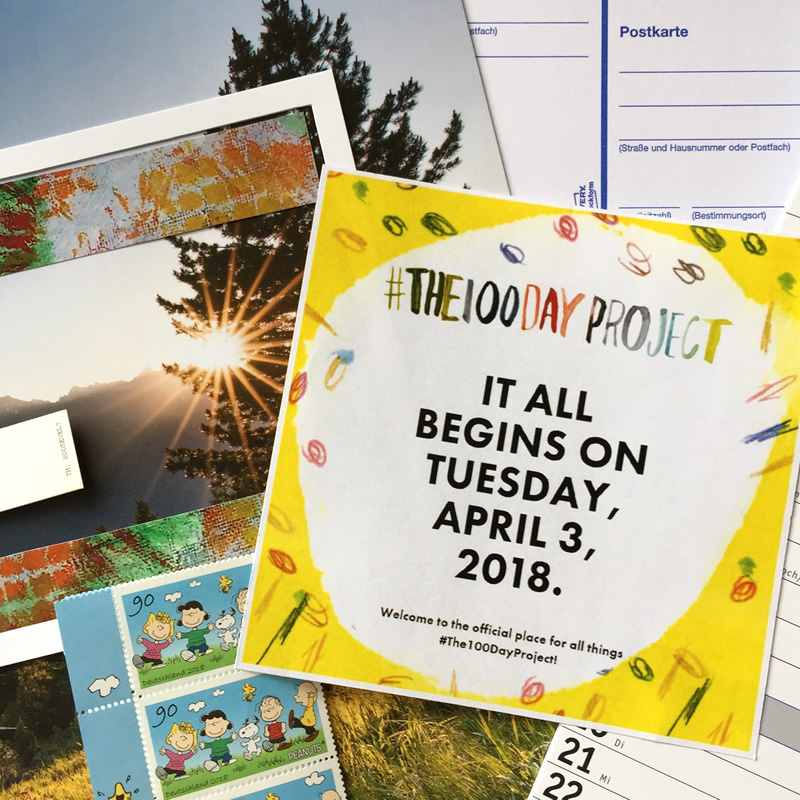 Any day is a good day to start #The100DayProject! Try different approaches first, and before committing to it, experiment with the approach until it feels right. Doing something once is so different from doing it everyday. What feels fitting and interesting when you do it once might feel rather different when you do it daily. And another advice: If you want to develop a daily practice, think of the days that might be difficult, like when you are travelling or have a lot of work – and how it can fit it then. 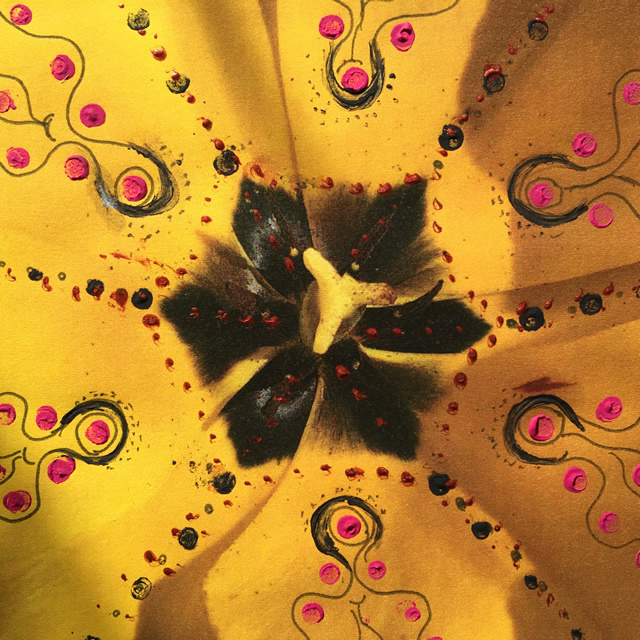 For my mandalas, I gave myself the option to look for a “found” mandala on these days, a mandala-shape I come across, and simply take a picture and post it. ..is based on a course that happened at the Yale School of Art with the title „An Open Workshop for Graphic Design“. There’s an article with the story of that start in the magazin Designobserver: Five Years of 100 Days. 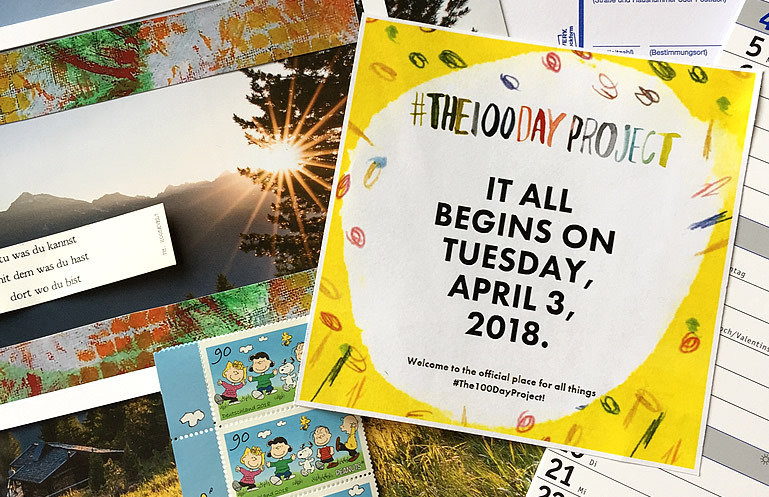 Since then, several groups and organizations have initiated and hosted a 100 day project. For more blog notes, click blog – and for more about me, visit my profile page.